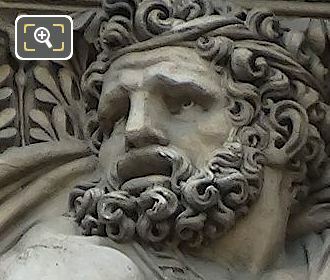 We were in the 1st Arrondissement of Paris at the Musee du Louvre, when we took these high definition photos showing a sculpture called Euclide, which was produced by Jean Goujon. This first HD photo shows one of the historical ornate sculptures called Euclide, spelt Euclid in English, that is located on the Aile Lescot, which is a wing of the Palais du Louvre that was constructed in the 1500s and named after the architect who designed this extension to the royal palace. 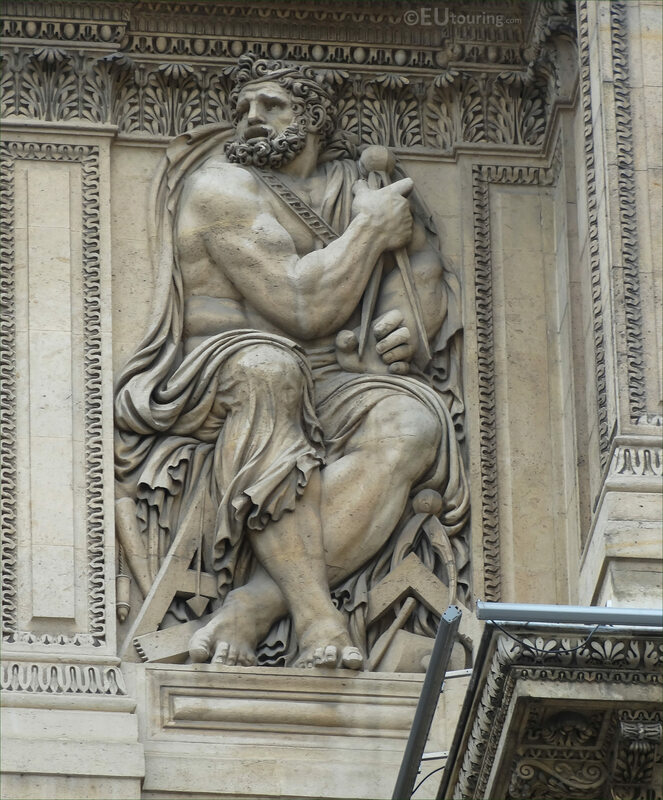 So here you can see a close up photograph depicting Euclid holding a compass, as he was a Greek mathematician born in around 300 BC, and sometimes referred to as Euclid of Alexandria, he is classed as the Father of Geometry, with a work called Elements being an influential work within the history of mathematics that was used for teaching geometry up until approximately the end of the 19th century. 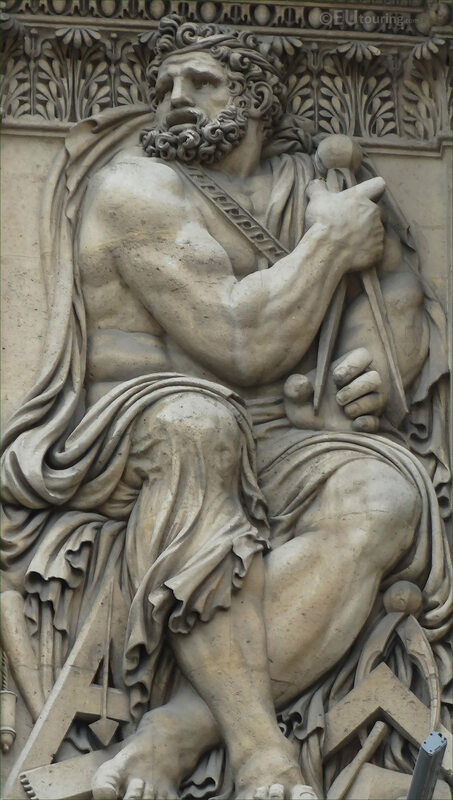 No this particular relief sculpture along with the others you can see on this section of the Aile Lescot were all produced by Jean Goujon who is thought to have been born in Normandy around 1510, and shortly after arriving in Paris he became sculptor to King Henri II of France. 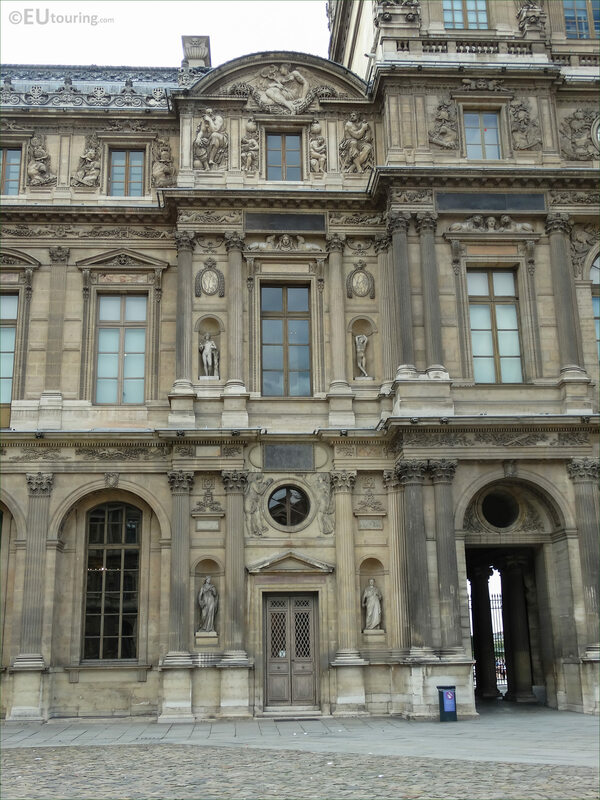 And although he was imprisoned at one point during his career, which is thought to have been for religious reasons being that he was a Huguenot, he was the choice of the architect for The Louvre to produce all the sculptural decorations on this historical wing, yet he left France in 1562 and the last records of Jean Goujon were in Bologna Italy in 1563. 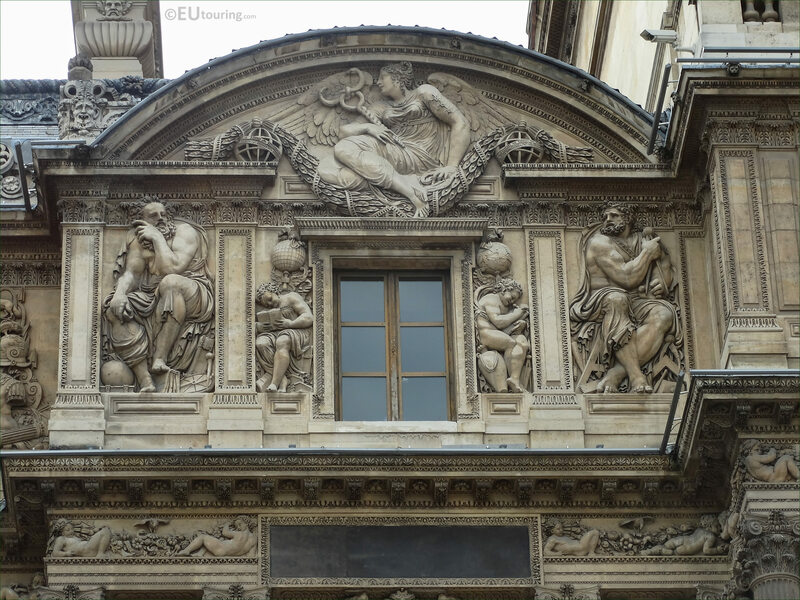 However, here you can see the entire right hand section of the Lescot facade, which can be seen from the courtyard of the Louvre Museum called the Cour Carree, located right next to the Pavillon de l'Horloge, and you can tell, the Euclide relief sculpture is positioned on the third level to the right hand side of the window below the pediment.